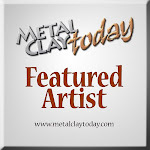 Metal Adventures has a new metal clay called FastFire BRONZclay, as its name says, this new type of bronze clay fires faster than the original BRONZclay. I am very happy about this new product because it will cut out more than 6 hours of firing time in the kiln. As any new product, we all need to learn the way this beautiful clay works . When I opened the package of this new clay I noticed that the color is lighter than the original BRONZclay. The texture feels very grainy, like wet compacted sand. 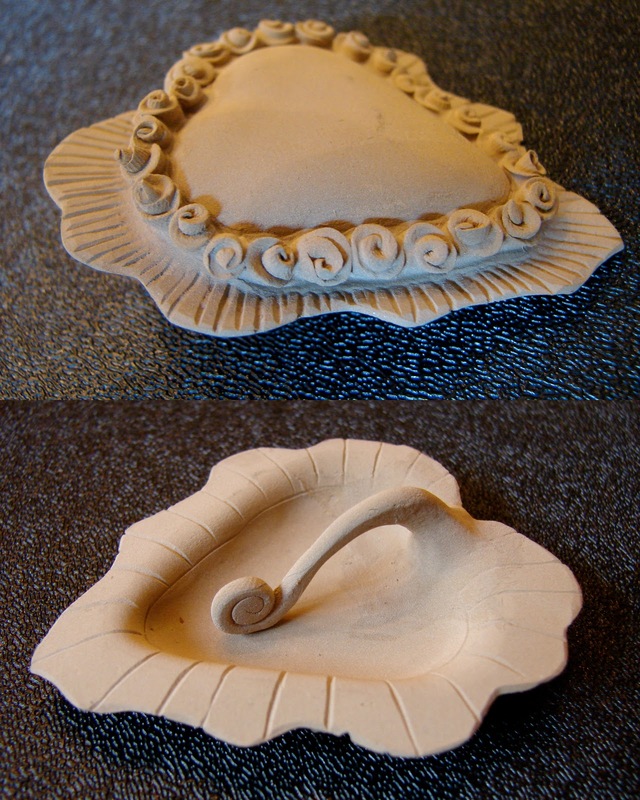 It is not as messy as the other clay, and does not dry very fast when you are working with it. Making joins is faster and the clay is smoother, which I like a lot! My first piece is a heart, of course!! ;-). The clay was very easy to roll and cut. When I put the piece to dry in my candle warmer, it dried very fast. I did notice I had to be more careful handling the dry piece, because it is more fragile than the original bronze clay when it is dry. When my heart's base was dry, I started to carve it and the carving in this type of clay needs to be more gentle because it goes very smooth into the clay. I fired this piece full ramp up to 1525 F and hold it there for 2 and 1/2 hours. The piece was in a stainless steel pot with coconut charcoal. When my piece came out it look very matte, and when I was burnishing the heart, I broke it! Breaking the piece does not mean the clay is not good, what it means is that I may have to increase my temperature during the firing. Remember, this is a NEW product and we are all learning with it and it makes the process more interesting. After repairing my heart I fired it in the kiln again but this time I increased the temperature up to 1550 F and hold it there for 2 hours. This time, as you can see in the photo, my heart did sinter perfectly, and my repair worked very good. This Heart Nicho was fired two times because I wanted to see if the fired piece could handle another firing without blistering. The piece was fine after the two rounds of firing. With my last piece, I wanted to see how a more sculptural form will behave during the firing, I also added a CZ garnet and two bronze eyelets. This piece was fired at full ramp up to 1550 F and hold it there for 2 hours. My "Virgen de Guadalupe" fired perfecly. Wanna see that nicho filled! Thanks for sharing. I haven't tried any version of the new fast fire clays. Lazy me. Maybe this week. You're my inspiration. Awesome work. Thanks. How did you do the repair?? Is lavender oil useful with bronze also? My first fast fire bronze pieces are awaiting firing! When I repair my pieces I only use more fresh clay to attach or fill cracks. The fresh clay with some water and I smooth the surface with my fingers. Absolute gorgeous. I've only used Hadar's clays (which I love), but I will have to try this one too. Yes, you have to use this one too! I have work with Hadar's clay and I think the texture of the clay is almost the same. Thanks for sharing this. I've purchased the clay but I haven't had a chance to try it out yet. Your firing schedule will help me out a lot when I do try it. Thanks! well all i can say is all these pieces look amazing, they are a work of art. Beautiful, Lore. I just love your hearts and artwork. I enjoy a lot reading them ! I love the new Fastfire but had some trouble with the firing. I have an SC2 kiln and ended up taking the lid off the stainless container and firing at 1550 for 2 hrs. I love the style of your work, it's lovely! I have the same kiln, did your firing work well at 1550 ? I fired a few simple pieces today @ 1525 for 2 hrs. and had breakage. Will try at 1550... but need to order more.. my free package is gone! What type of kiln do you have? Are you using coconut coal? The rusty residue is from the stainless steel pot. 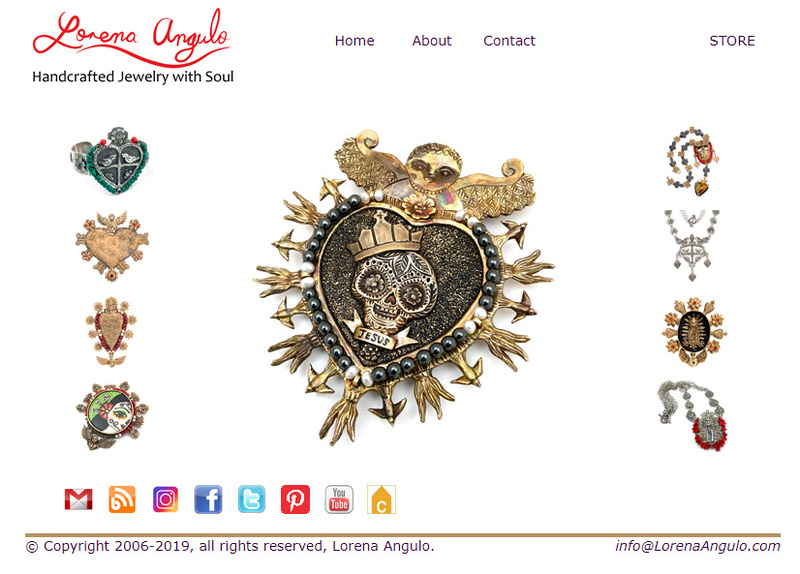 Can you send me a picture of your pieces to my email? Hello, I just found this page by doing a Google search and am hoping you're still checking in here. I'm having lots of trouble with my fast fire bronze clay too, after many firings with no issues whatsoever. Suddenly, full ramp to 1525 and holding for 2 hours isn't working. All my pieces crumble, and today my pieces fell apart IN the carbon before I even removed them! I'm SO frustrated. I use a top loading Paragon Firefly manual kiln, and just purchased brand new coconut carbon and a clay firing vessel (meant for carbon firing). I suppose I need to ramp up my temps?? I sell these pieces and now my clients will have to wait several more days to get them....assuming I can even get this to work. Any ideas for me? Thanks in advance, and lovely work, by the way! I am sorry you are having problems with the firing. You can increase the temperature to 1550F and hold there 2:30 hours. Let me know how this works for you.